Courtesy. Professionalism. Respect. Those are the words commonly emblazoned on the sides of NYPD patrol cars. And it’s those ideals that set the NYPD apart from other law enforcement organizations in the country. As the largest municipal police department in the U.S., the challenges facing the NYPD are unique. It’s only by being courteous, professional and respectful that the NYPD has been able to so impressively handle those unique challenges. 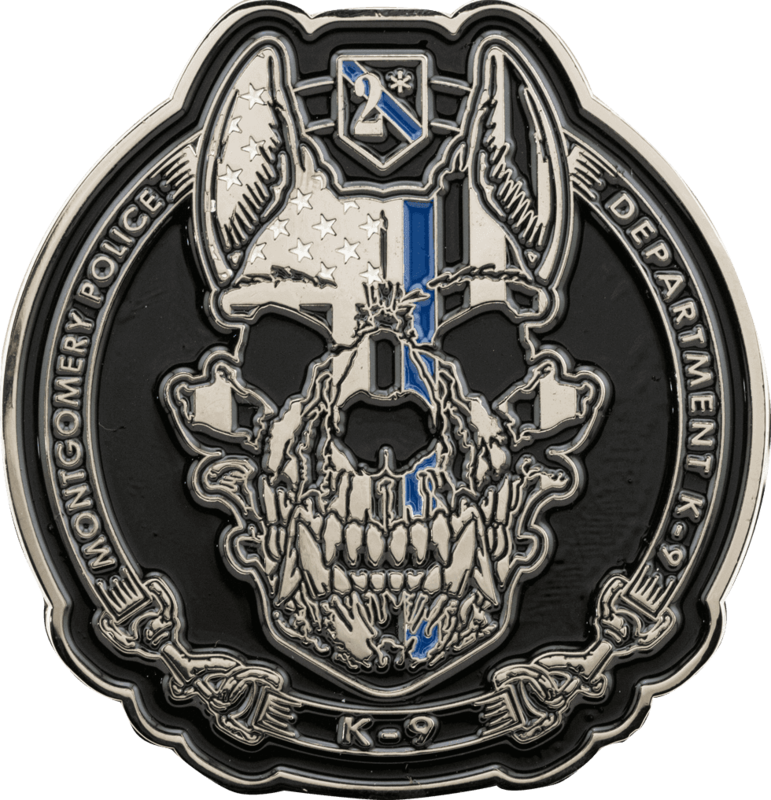 Such a special law enforcement branch deserves police challenge coins that are every bit as unique as the men and women offering their service within it. 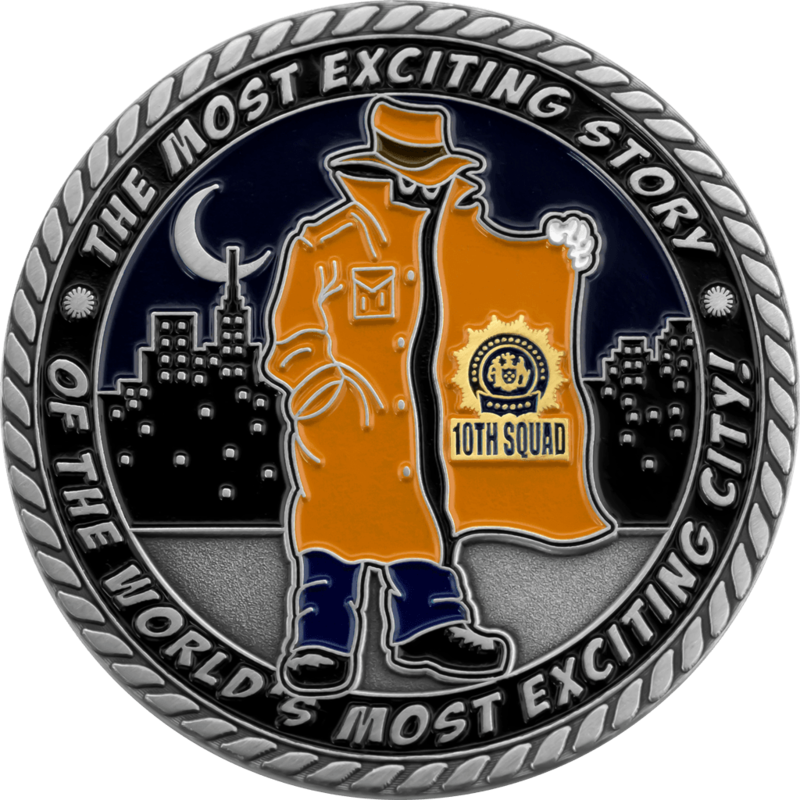 These coins were created specifically for the 10th Precinct Detective Squad in Chelsea, Manhattan. What we love about making custom designs like this is the ability for our clients to make the designs personal and meaningful for their department. 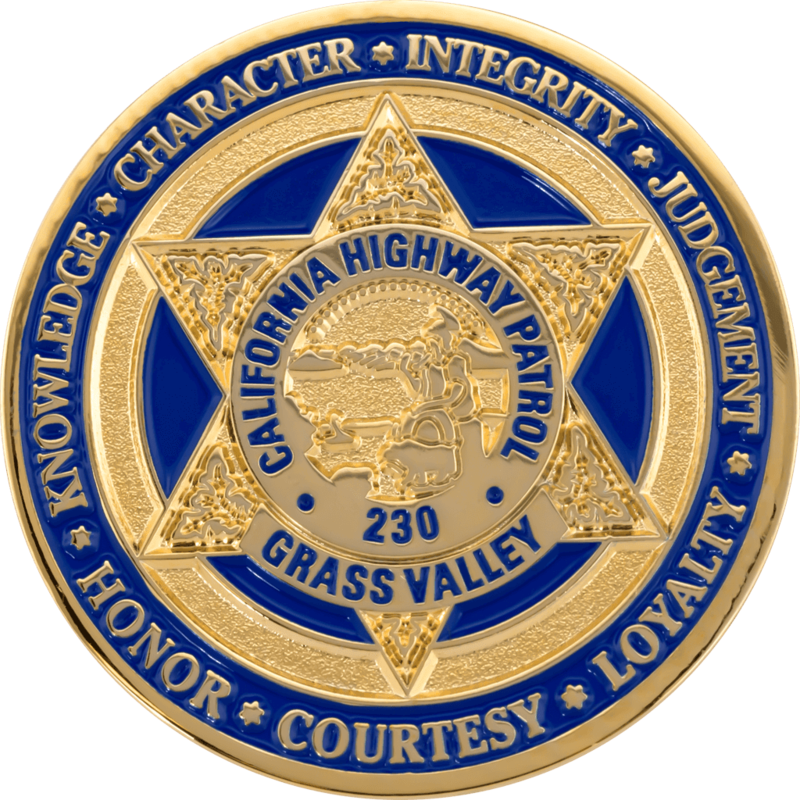 This coin has a few common elements that are often included in police challenge coin design, like a specific emblem or seal from the department and the squad designation engraved around the rim of the coin. But there are also personal touches like the New York City skyline under the moonlight, and the NYPD green and white striped American flag. Small things like this are what give a coin personality and make them even more special to the men and women receiving them. Our art and sales team work closely with every client to make sure we can capture the spirit of an organization like the NYPD and create meaningful designs that do justice in representing the people serving the city. 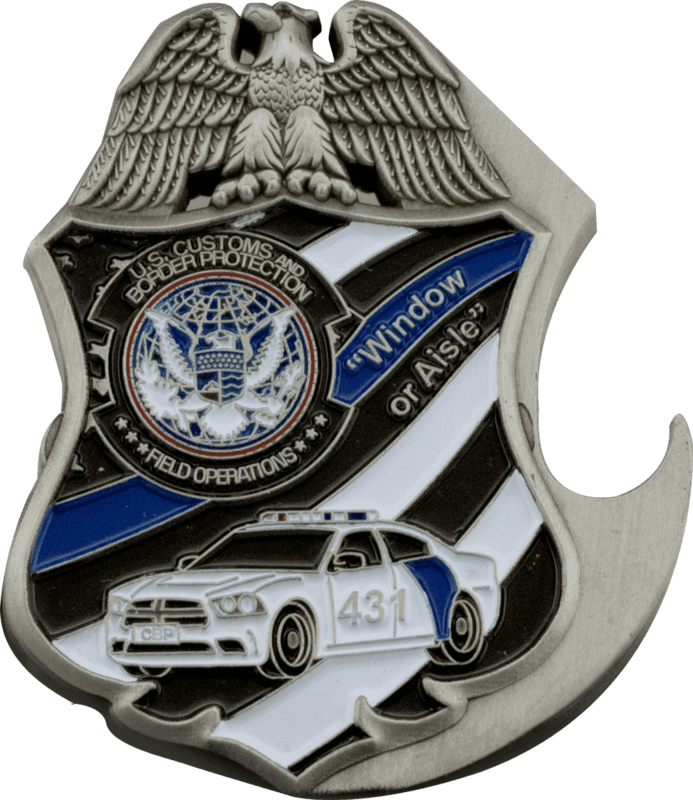 Why Order NYPD Challenge Coins? 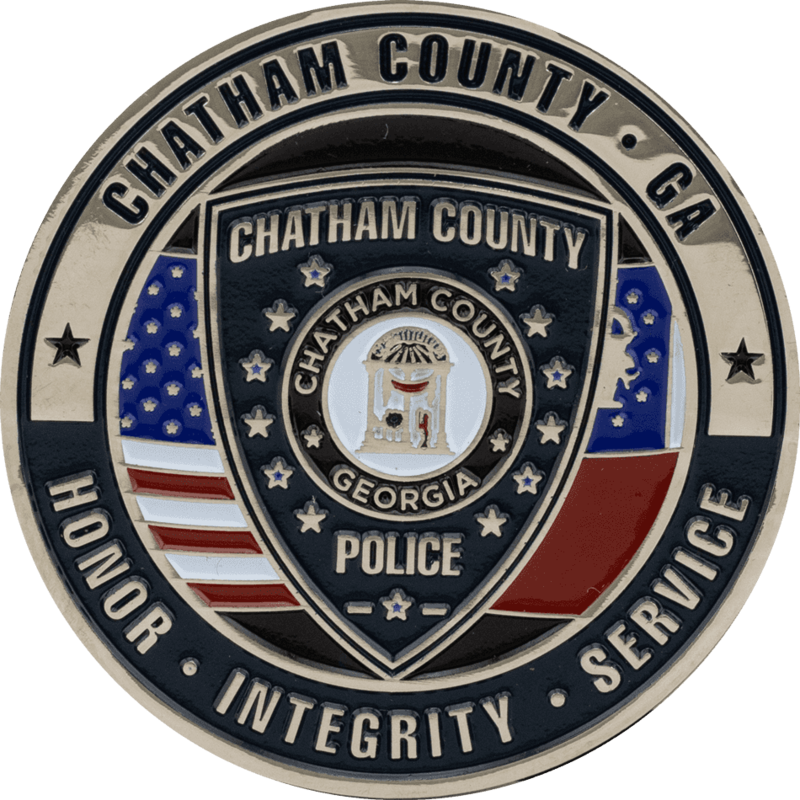 Challenge coins are an excellent means of building unity and a sense of camaraderie in a department or squad. We make custom designs suited specifically for celebrating promotions and retirements, for welcoming newly sworn officers to the team, for fundraising and for honoring the service of excellent officers like these coins we made for the Patrol Borough Brooklyn South. 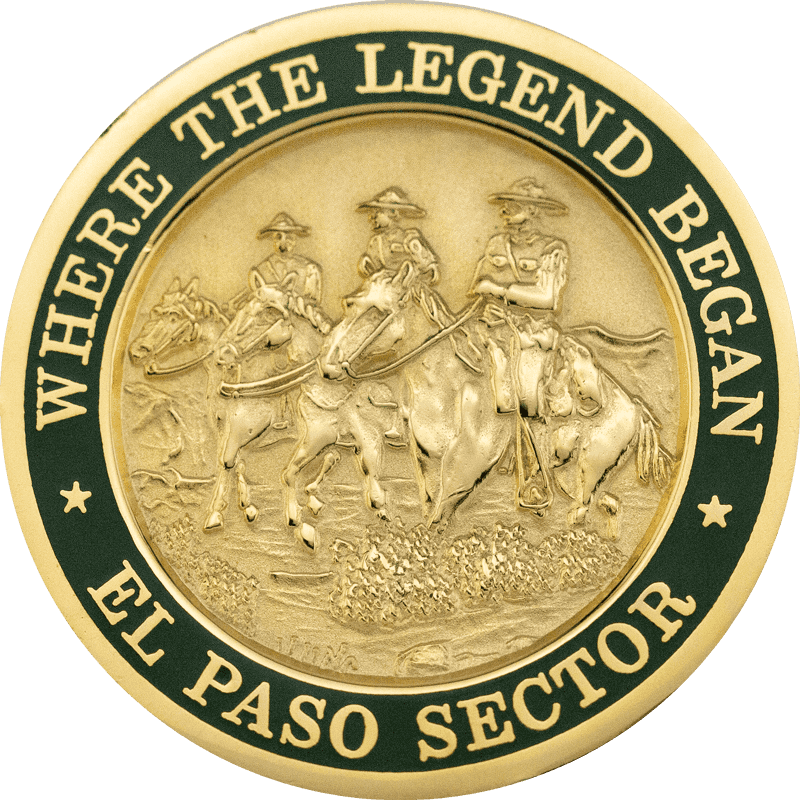 Custom coins become a symbol of shared experience and understanding within a department. Their value is found in their ability to promote inclusion, trust and communal identity within a team. We took special care in crafting these coins in memory of the 9-11 attacks. Like many NYPD coins, the contact on this project wanted to include the department’s green striped flag alongside the American flag. 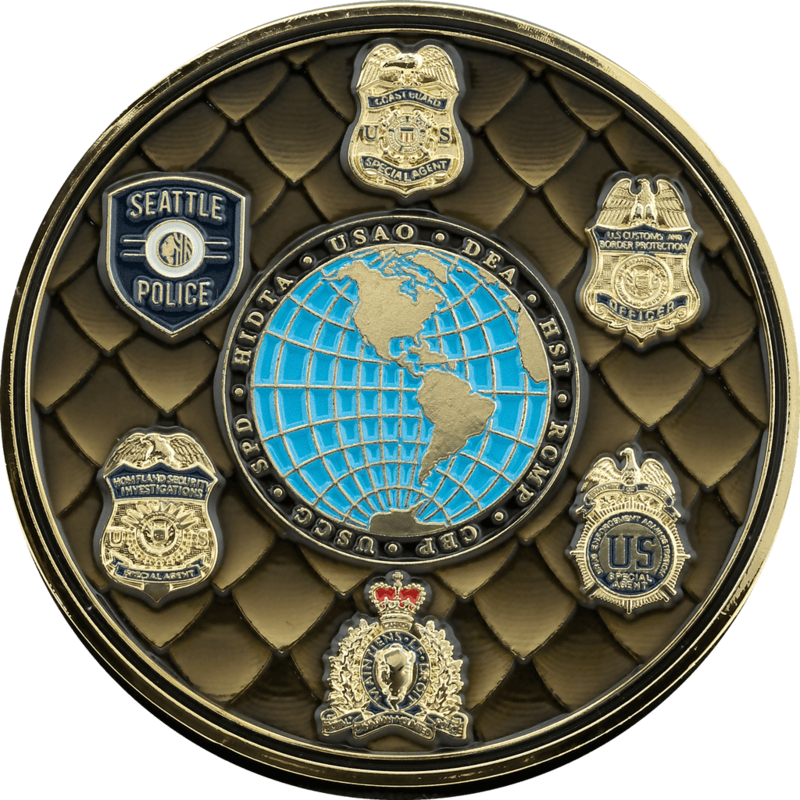 Coins like this are a perfect example of how a design can capture the essence of a small squad within the department, while still maintaining a solid connection to the NYPD overall. With over 55,000 service men and women, New York Police Department challenge coins are the perfect way to build unity and a sense of inclusion amongst officers. 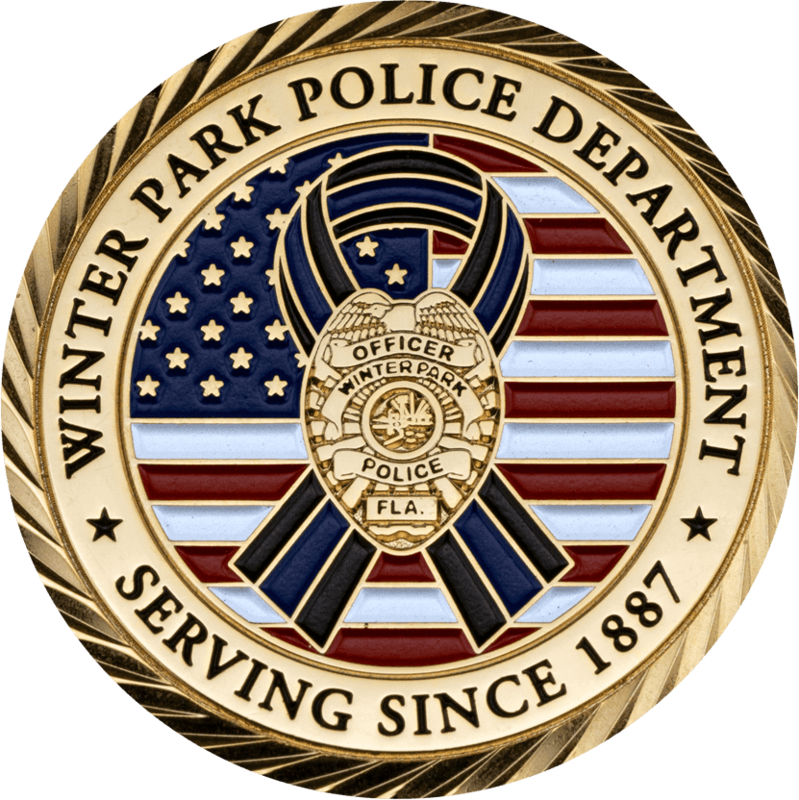 Born of the military tradition, challenge coins have long been a way to mark career milestones and reward the exceptional service of first responders. Keeping a city safe and orderly is hard work and the men and women who do it go above and beyond each shift. Being recognized by their captains and other supervisors goes a long way towards keeping their morale up. Working with us means that you are sure to get something completely unique. We do not use any stock designs or artwork for our coins. Once you send us your ideas and inspirations, our art team sets to work crafting an original design that is sure to capture the personality and heritage of your team. 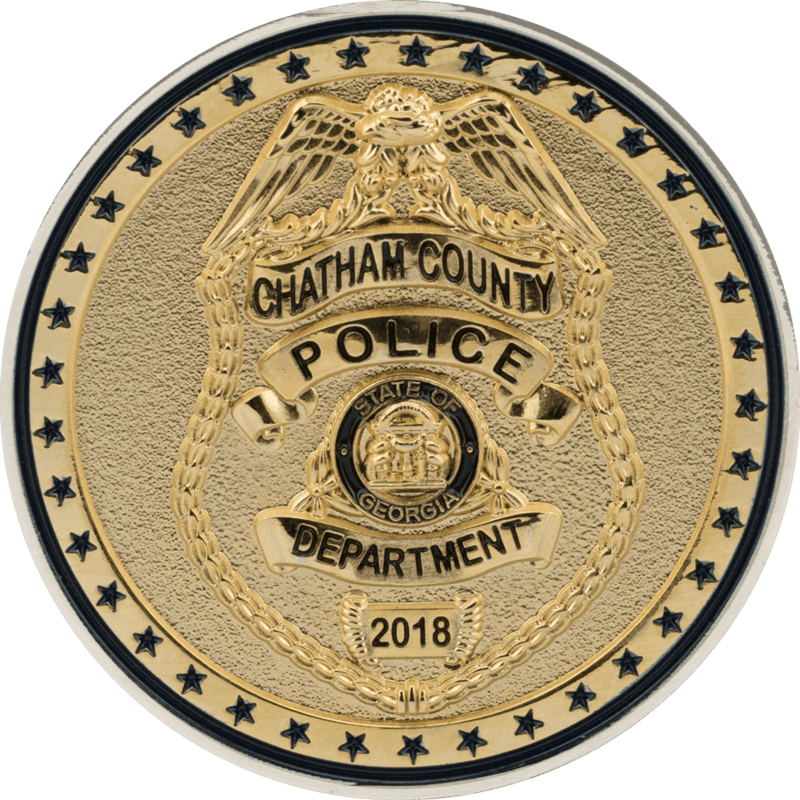 Some popular choices for police challenge coins are options like 3D artwork to add depth and high polish plating to give the coins a noticeable shine. There are also options for custom edging and colors, and for creating unique shapes. The potential for design is limitless! Even the coins that share multiple design elements and construction options end up having their own unique personality. As an example, take a look at these coins we made for the Boston Police Department and the NYPD. 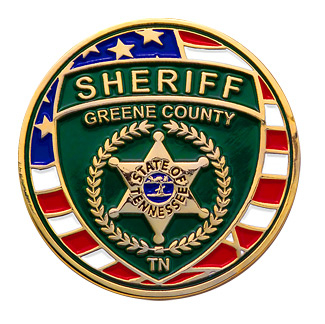 Both designs incorporate the police badge of their respective departments, high polish gold plating, 3D design and even green colorfill. On paper, they sound similar but each one tells a completely different story. 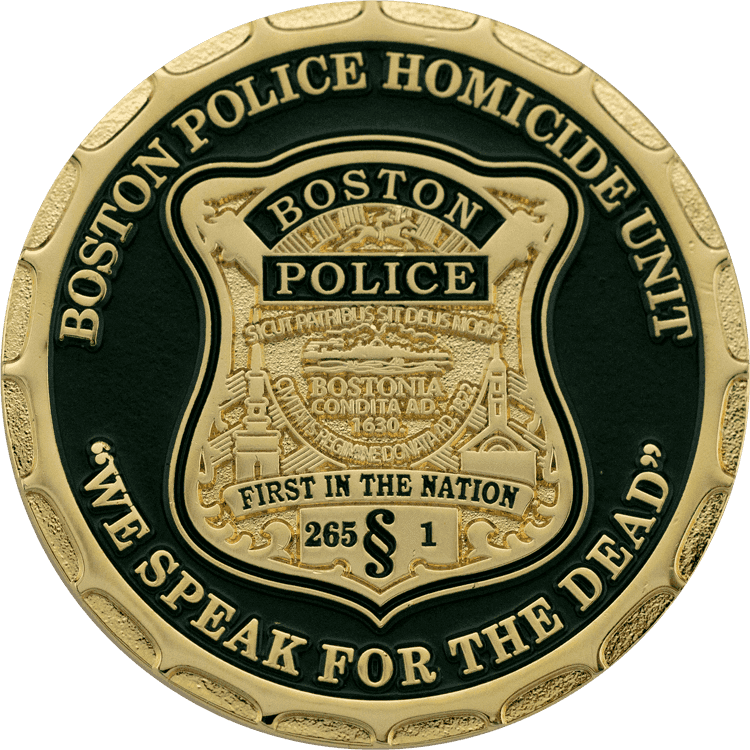 This Boston Police Department coin is a classic medallion style challenge coin with a beautiful 3D rendering of the famous Paul Revere statue residing in the city. The custom spur edging really adds a unique touch to the design and frames the coin perfectly. The NYPD Computer Crime Squad coin is custom shaped to look like the department’s detective badge. The 3D artwork for the circuitry on the back of this coin creates an authenticity you can see and also feel as you run your fingers over the gold lines of resistors, transistors and capacitors. Holding a coin like this really puts perspective to what is possible in design. While both of these coins share multiple design options and inspirations, they are distinctive and full of character. We don’t pick favorites, so we will let you decide which one uses them better. 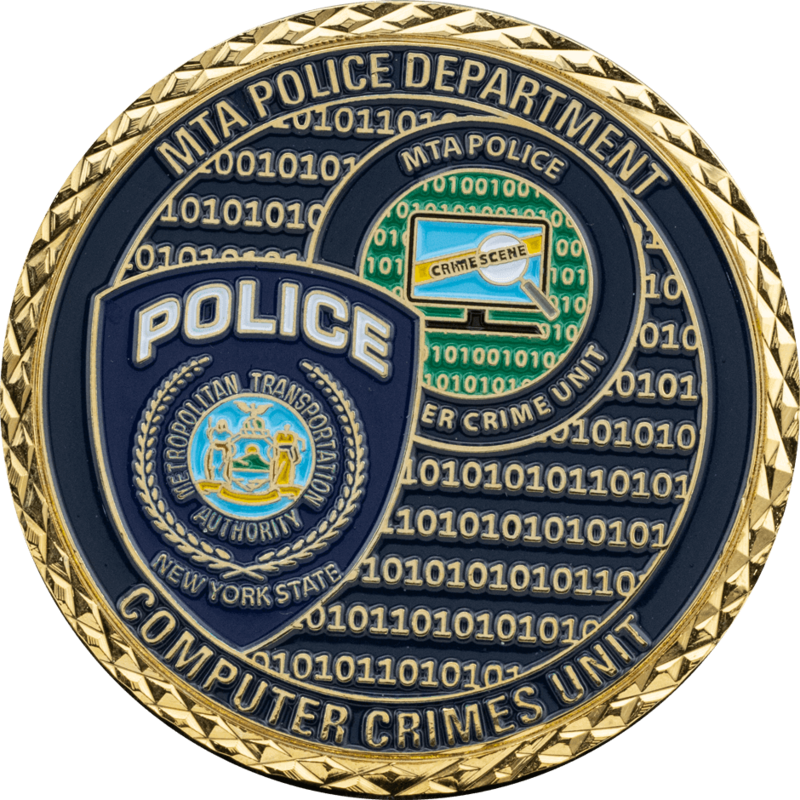 We can say that working on projects like the NYPD Computer Crimes Squad coin is always an exciting and challenging experience. The intricacy of the circuitry, the custom edging, colorfills and plating were carefully created piece by piece until the artwork was just right. If you want to make a coin like these or want to see more about our custom design options, give us a call! We are happy to help! As the largest police department in the country, the NYPD has all sorts of different specialized units that can benefit from challenge coins. If you want to see more examples or learn more about these types of coins, follow one of the links below! 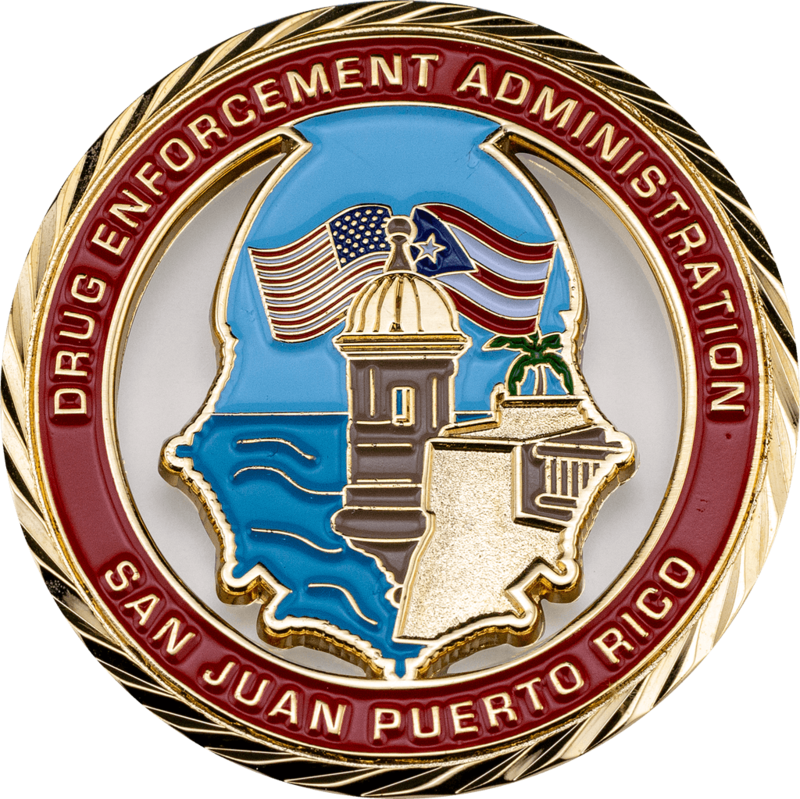 At Signature Coins, we’ve been lucky enough to provide law enforcement agencies with their own custom challenge coins for over 15 years. In that span of time, we’ve gotten to know a lot about the lives, challenges and rewards of our nation’s amazing first responders. 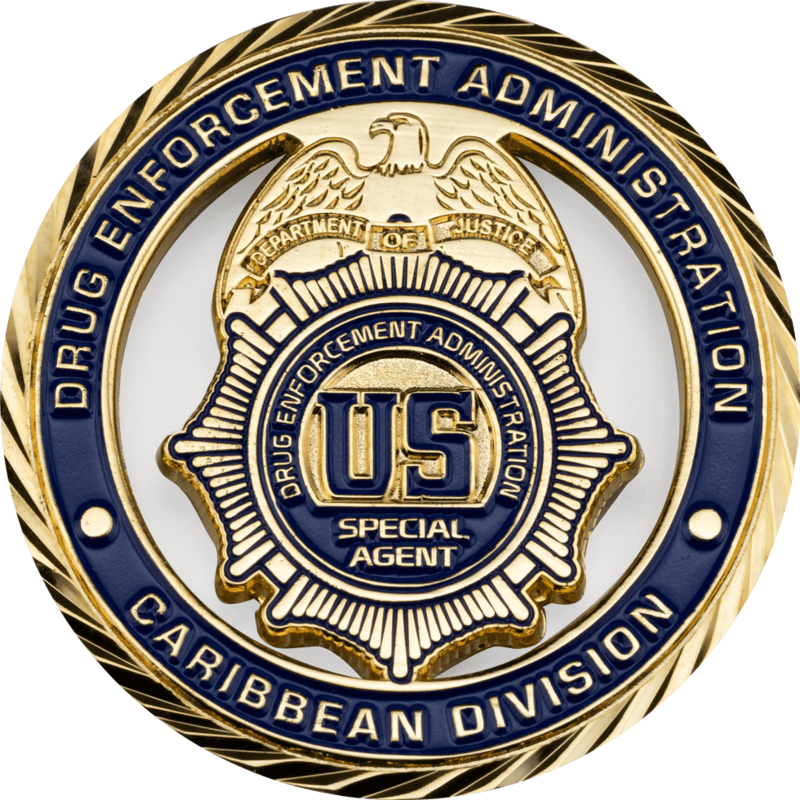 It’s with a great respect and appreciation to our men and women in blue that we offer top-tier customer service, high-quality final products and a 100% quality guarantee. 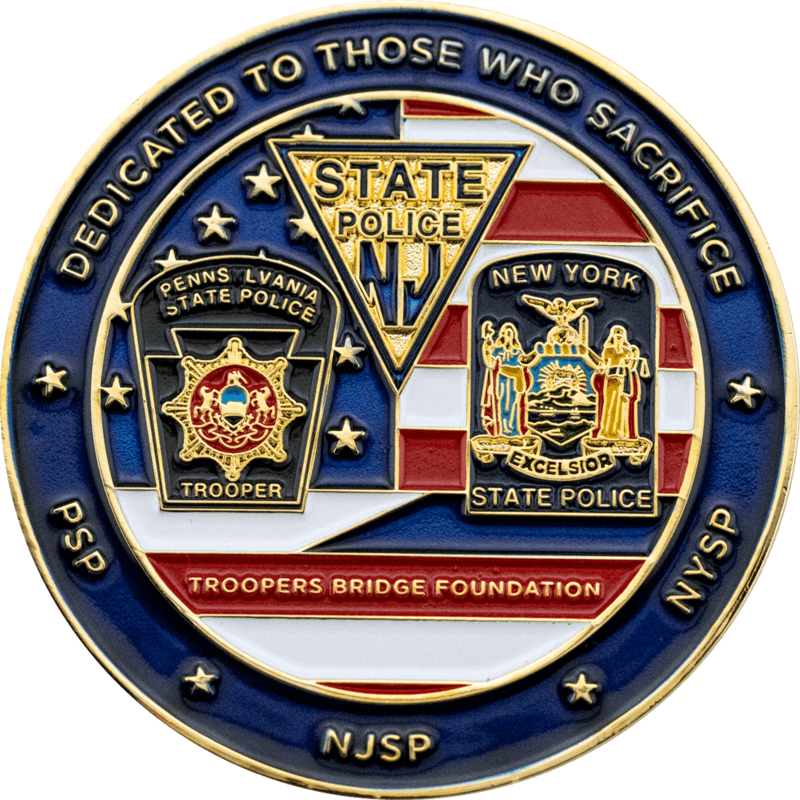 If the men and women in your unit don’t have New York Police Department Challenge Coins of their own, contact us today so we can get to work immediately and get your custom coins delivered in 14 days or fewer. Once you send in your ideas, our art team will have a free proof ready within 24 to 48 hours for you to review.